Custom serices are our speciality. A custom window treatment completes the room. 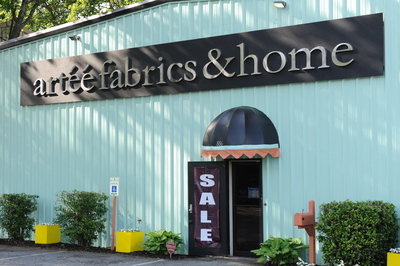 At artee fabrics & home we have a solution to your window covering needs that include and are not just limited to curtains, draperis, shades, and other treaments. Each of stores carries, and if needed order for you, drapery rods and finials. Stop by and talk to trained professionals at each of our stores to help you get started on your project. You select the fabric from thousands available in every store. Once that is done we can send it away to have it fabricated in the style that you have chosen. Our installers will complete the job for you.